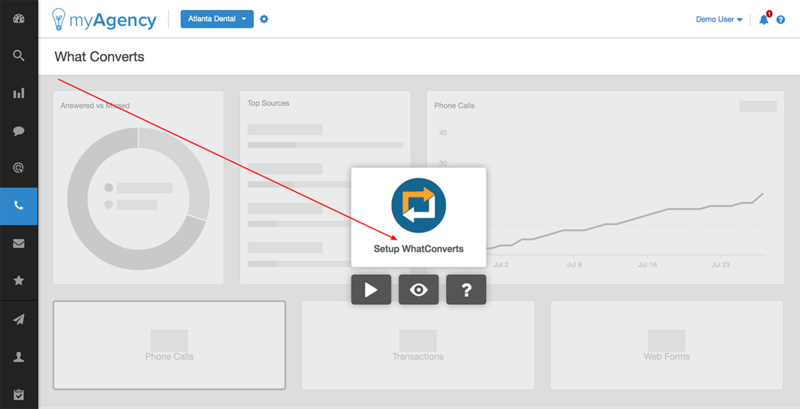 First, navigate to the home dashboard for the campaign where you'd like to connect this WhatConverts integration. 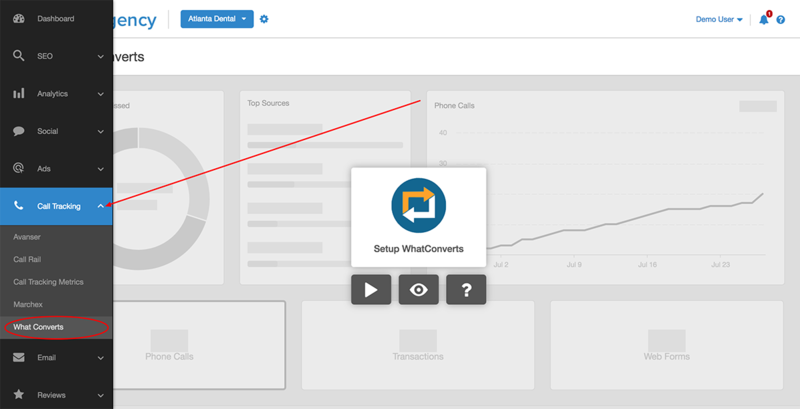 Then, choose "Call Tracking --> WhatConverts" from the dark navigation bar on the left-hand side of your screen. Next, click the link in the middle of the screen that says "Setup WhatConverts". 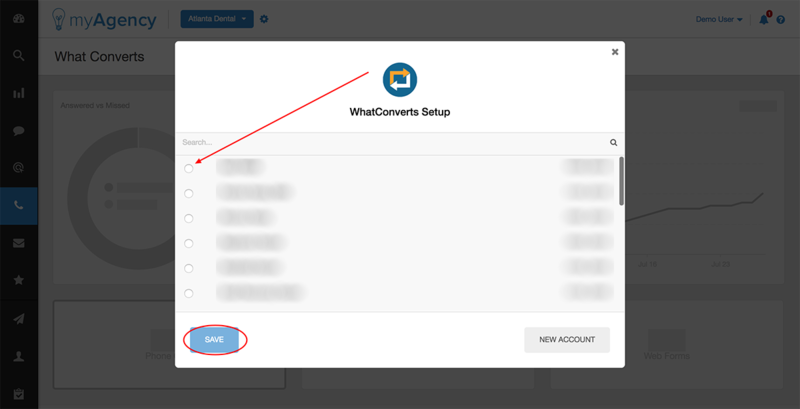 In the next window that appears, enter Token and Secret keys from your WhatConverts account. You may need to contact WhatConverts support at support@whatconverts.com to retrieve this information. When finished, click "Save". 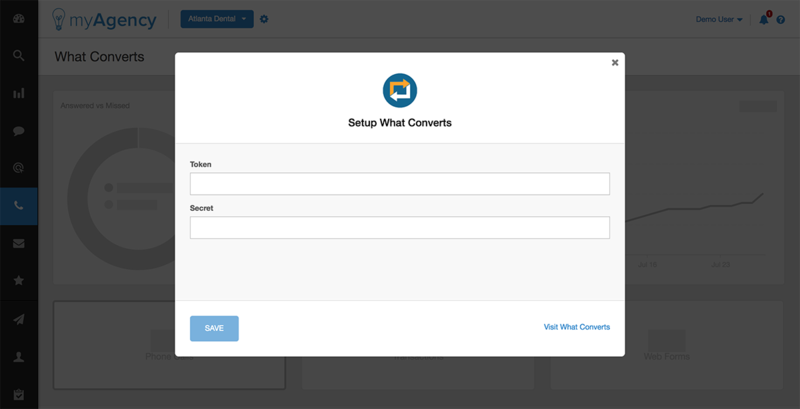 Finally, choose the customer campaign within your WhatConverts account that you'd like to connect. The integration will then be complete, and your client's WhatConverts metrics will then be imported and displayed within their campaign.